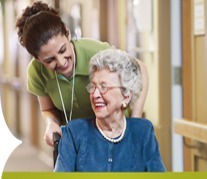 Over our 40-year history, Extendicare has grown to become one of Canada's largest, most trusted and most successful providers of long-term care. Today, we have the capacity in over 80 long-term care homes across Canada to help over 11,000 residents live better lives every day. In addition, we have opened more than 13 new homes in the past 10 years and have assisted our partners in building more than 1,000 beds. We have developed a level of administrative and managerial expertise few can match. We have the tools, systems, best practices and proven solutions that enable us to deliver on our commitments in the most efficient and cost effective manner possible. Now, through ExtendicareAssist, we can help you do it too. We can help by taking the administrative and management load off your mind and do it in a way that respects your vision, your reputation, your staff and, perhaps most importantly, your residents. Regardless of the size of your long-term care home or the nature of your ownership, we can help you meet every regulation and procedural requirement governing its operation. Currently, we are privileged to have partners in two provinces. These partnerships include strong, long-term working relationships with major hospitals, municipal governments, not-for-profit organizations, charitable associations, privately owned multiple location chains and single private owner-operator homes.